Once again Derek Brunson knocked his opponent out, and once again he did it in devastating fashion in the first round. 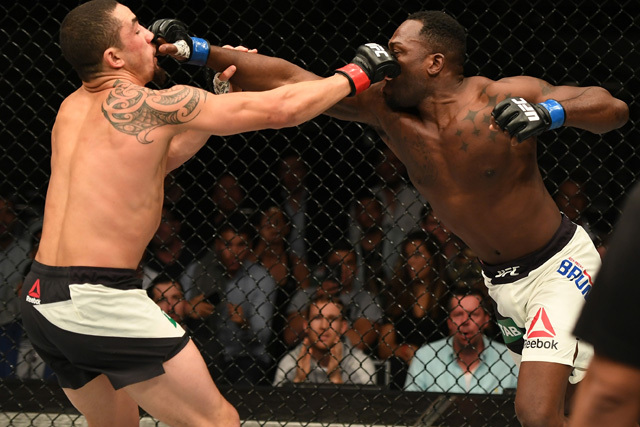 Brunson, who brutally finished Lyoto Machida in the first round of their main event at UFC Fight Night 119 in Sao Paulo, Brazil, is quickly emerging as one of the most exciting fighters in MMA and is seriously deserving of a big fight his next time out. The 33-year-old American is now 9-3 in the UFC, and he’s won seven of those fights in the first round via stoppage. In fact, his last six victories have come via brutal first-round KO. Somehow, he’s only received one Performance of the Night bonus for those knockouts (on Saturday after his performance against Machida), but the fact remains this guy has a ton of power and is knocking out almost everyone in his way. 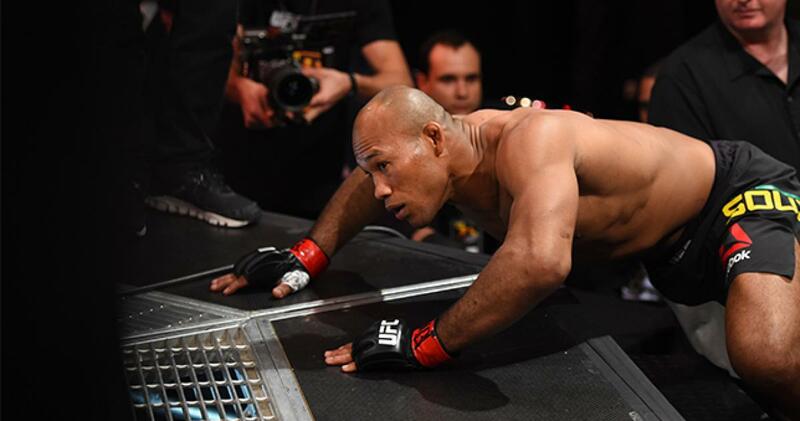 Yes, Brunson did get knocked out himself by both Yoel Romero and Robert Whittaker, but other than those fights and a controversial decision loss to Anderson Silva, he’s been nearly flawless in the UFC. For whatever reason, though, he just doesn’t get the big fights that he deserves, and despite being one of the most exciting fighters in the UFC middleweight division, Brunson has only fought once on pay-per-view in the last five years. After his huge knockout win over Machida, which earned him a well-deserved $50,000 bonus, Brunson called out Luke Rockhold, and this is a fight that makes sense. Right now the middleweight division is being held hostage by champion Michael Bisping and challenger Georges St-Pierre. Who knows what the winner of that fight is going to do, and then you have to remember Whittaker is the interim champ and is currently injured. So the title picture is quite murky at the moment, meaning Rockhold, who is coming off of a huge stoppage win over David Branch himself, should be available to fight Brunson. But even if Rockhold is not available, both Chris Weidman and Ronaldo “Jacare” Souza should be, and both of those men would be great opponents for Brunson as well. It seems clear that there are numerous elite middleweights available to be booked at the moment, so instead of getting an unranked albeit dangerous opponent like Machida in his next outing, there’s no question Brunson should be fighting a top-five fighter at 185lbs. When Brunson first joined the UFC, he was nothing more than a "lay-and-pray" fighter, but after getting booed heavily by the crowd in his UFC debut against Chris Leben, credit to him, as he changed his style to a more exciting one. Brunson is now mostly a striker who relies on his speed and explosiveness to go for the early finish, and he has knockout power in both his hands and his feet. There just aren’t many fighters who can match his pace in the first round, and not many have been able to stop his early swarm of strikes. The UFC is desperate for stars, and while Brunson is in his mid-thirties, there’s no reason why he can’t be someone who fights on PPV against top-5 middleweights and maybe even fights for a belt sometime. The guy is a tremendous fighter to watch, he keeps getting better and better every time he steps in the cage, and the UFC owes him a big fight. Let’s hope he gets what he deserves.